Chandigarh: A blast had taken place inside the premises of a Nirankari Bhawan in village Adliwal near Rajasansi in Amritsar district. According to report the blast was triggered by two persons by throwing a hand grenade inside the dera. The Indian TV channels are playing dangerous and dirty games at the pretext of reporting the incident. When media persons asked about Punjab CM Capt. 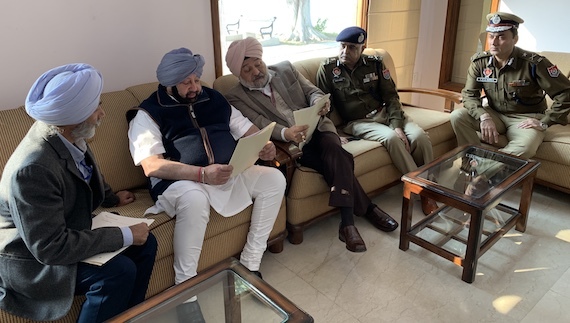 Amarinder Singh that if any such sketches were issued by the police or the government he said that no such sketches were issued. He added that when people had covered their faces what would be scope for any such sketches. 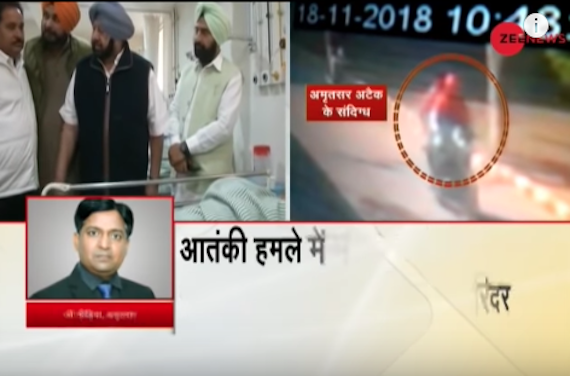 The TV channels, including the NewsX, News 18 Punjab and Zee News (there may be other channels also) showed alleged CCTV footage capturing the suspects of the incident. But on being asked about the CCTV footage by Amritsar based journalists, the Amritsar rural SSP Paramraj Singh denied having release any such CCTV footage. 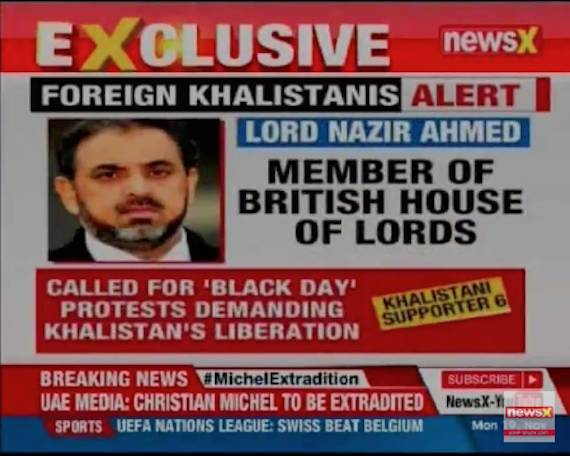 Another TV channel called NewsX showed photographs of Canadian defence minister Harjeet Singh Sajjan, another Canadian minister Amarjit Singh Sohi, British Sikh MPs Tanmanjeet Singh Dhesi and Preet Kaur Gill and Britain House of Lords member Ahmed Nazir and flashed name ofBritish Sikh organization Sikh Federation UK in its news/propaganda report which maintained that the attack was result of “foreign” link. The report also showed the fake CCTV footage of suspects. As mentioned earlier the officer incharge of the police district, i.e. the SSP denies that any such CCTV footage having released. NewsX also labeled arrested Briton Jagtar Singh Jaggi as “terrorist”. 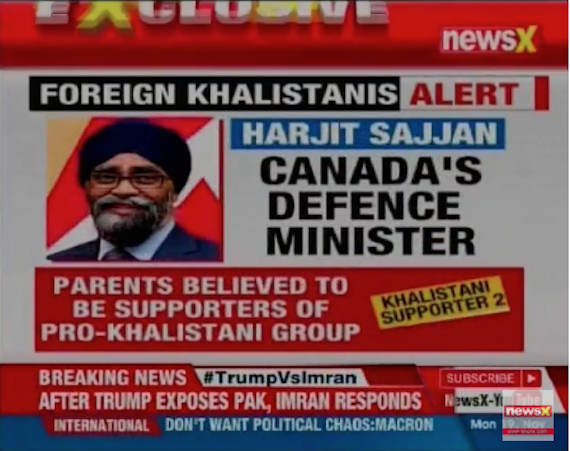 The TV news reports are flooding out propaganda against the Sikhs under the grab reporting on the attack. The TV channels are repeating the baseless allegations and repeatedly showing fake sketches and fake CCTV footages. Interesting no TV report has shown a single person from any investigation agency or the police saying who could support their allegations. 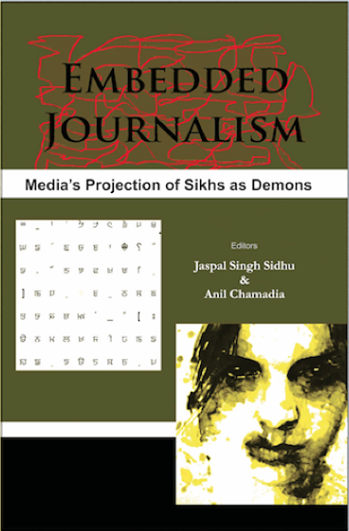 This sort of reporting is a serious matter as it attempts to demonise the Sikhs. 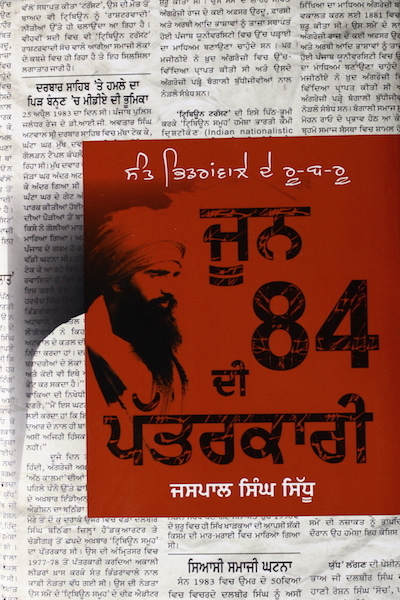 Books like “June 84 Di Pattarkari” (‘Journalism of June 1984’ in Gurmukhi/Punjabi) and “Embedded Journalism – Media’s Projection of Sikhs as Demons” (in English) have documented the evidence that how the Indian media had practised embedded journalism to demonise the Sikhs during 1980s and 1990s. Today’s reporting show that the things have not improved since then instead they have worsen many fold as now the media’s reach has expanded with 24×7 news/propaganda channels.